Answering service in Portuguese for companies. Our agents answer your calls with the name of your company and send you the message by email. Its working tools: Internet ADSL, computer, headphones and softphone. Professional experience: Receptionist and customer advisor for various companies. If you are interested in Malika Touré's profile, you must subscribe to this service. As soon as your payment is made, Malika Touré will receive your order and will contact you to organize the campaign. You can also contact Malika Touré to make sure she fits your needs before signing up. As part of a call-out campaign, you must provide Malika Touré with the sip account, which will allow her to make calls. You can use a Hivoox sip line or another voip provider for calls. Installation and configuration of the line. Premium technical support in case of problems. Call recording: 30 € / month. Web interface to track work and listen to calls. Premium minutes rate or unlimited call plans (option). Display of the telephone number of your choice. 1 - The amount paid represents 1 month of work. If Malika Touré does not finish the campaign or if you wish to stop working with the sales agent for various reasons, only the days worked (calculated via your Hivoox interface and the call log) will be paid to Malika Touré and the difference will be refunded. Hivoox will cash you 30 euros as management fees. 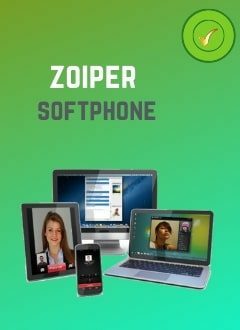 You must install and configure the softphone at sales agent office or home, and give him the necessary technical support in case of problems related to the quality of the calls or other possible failures. You can also subscribe to our technical support service: 50 € / month. You can only request the cancellation of your order and the refund of the amount paid within 5 days after the start of the campaign. The beginning of the campaign must be notified to Hivoox by you and Malika Touré via email. In this case, only the 5 days will be paid to the sales agent and the difference will be refunded. Hivoox will cash you 30 euros as management fee.